Last year I read my very first Sarah Dessen book Saint Anything. 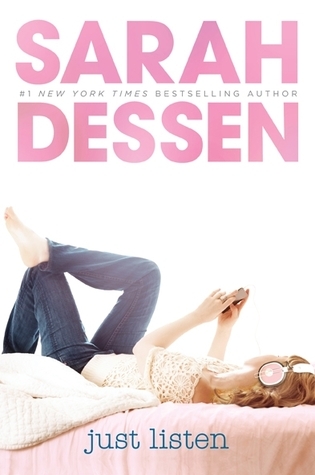 I loved it and continued to look for more book by Sarah Dessen! Out of all her books the synopsis of Just Listen appealed to me the most. Which is why I decided to read this before the rest of my Sarah Dessen books. I am happy to say that I enjoyed it! The book begins with Annabel watching a commercial she was in. She turns off the tv and mentally prepares herself for school. Annabel has been dreading going to school for months now. After the argument with Sophie and avoiding everyone in school she’s not sure what she’ll find when she reaches school. When Annabel reaches school she sits in her car for a few minutes just to think everything through. As she gets out of her car she and Sophie came face-to-face. Sophie swears at her and leaves. It becomes evident that there is no way to salvage their friendship and for the rest of the year Sophie will consistently pick on her. The first day goes by in a blur. As Annabel tries to make conversation with other people they don’t talk to her. Last May she wanted nothing to do with other people now she’s getting just what she wanted. During lunch she sits alone. Apparently Emily is choosing to sit with Sophie even though Annabel was friends with her first. Annabel’s former best friend Clarke clearly wants nothing to do with her. And then there’s Owen. Who seems intimidating and closed off. While she’s eating lunch she sees Will Cash pass by. She freezes up and once he leaves she vomits in the bush. The next weeks continue normally. Sophie will call Annabel names when she least’s expects it. Annabel eats lunch alone and keeps to herself. While Annabel is leaving school Will Cash catches her eye and talks to her. Annabel manages to get away quickly. Sophie confronts Annabel and threaten’s her for talking to Will who is apparently Sophie’s boyfriend. Annabel snaps and pushes Sophie. Annabel runs away and vomits in the bush again. Owen is yet again there to witness and helps Annabel. After that day the two of them become friends. Wow this was such a good book! In the beginning I thought that it would be a 3 star but as I read on I found myself really enjoying it! This book is written in first person in Annabel’s point of view. There are quite a few flashbacks but it ever became overwhelming. I loved the family aspect in this book! Annabel’s older sister Whitney was diagnosed with Anorexia. For the past few months it’s been difficult for Whitney and her family. In the beginning Whitney didn’t acknowledge that there was something wrong. That what she was doing wasn’t healthy. She didn’t see it that way. Their oldest sister Kiersten noticed (they lived together) but Whitney claimed that Kiersten must have been jealous of her as Whitney got more modeling opportunities than Kiersten. Once the family caught on they continued to support and be there for Whitney. The eating disorder was very well done! Whitney didn’t get better in one day she took time but she got there. I liked the entire family in general. My favourite was definitely Kiersten. Annabel and Sophie’s relationship was complicated. In a sense it was an abusive relationship. Unhealthy. Sophie spent most of her time bullying Annabel into what she wanted. Annabel gave in because she was scared off crossing her. Plus Sophie was the reason she was popular and gained most of her experiences from. Once they stop being friends Annabel realizes that she shouldn’t have stuck around Sophie. She already lost Clarke and now she wants to make it up by being friends with Owen. While I haven’t been in the same situation as Annabel I could relate and empathize with her. I understood why she was scared of Sophie and why she kept that night a secret. It didn’t bother me at all. It made perfect sense and was handled well. Annabel lies quite a bit. Not because she enjoys lying but because she’s afraid that if she tells the truth she’ll hurt the people she cares about. It’s her way of maintaining peace in her life. This all changes when Annabel meets Owen. Owen went to juvie for getting in a fight with a guy in the parking lot. Since then he has had to take Anger Management and vows to be honest in every aspect. Owen is extremely passionate about music and tries to educate Annabel in it. Owen also gets Annabel to be honest with everything she has to say. Surprisingly Annabel does so because it’s easy being honest with Owen. I found Owen to be a refreshing character! I really liked reading about him! The romance is slow burn and it was done well! It was nice reading about Annabel’s character development! Being around Owen has made her more confident and honest. She’s actually happy with her life when she wasn’t earlier. Annabel also learns so much from Whitney and admire’s her strength for overcoming everything. I didn’t have any problems with Just Listen. I simply didn’t love it hence the rating. Note there is abuse in this book. If you are a sensitive reader you might not enjoy this book. I would suggest reading another contemporary. Overall this was a really good book! I recommend it to fans of the author and contemporary fans. This book was recommended to me by Sierra! Click on her name to read her review. I heard about this through Twitter. Sierra was doing one of those 1 click= 1 book and out of curiosity I looked at the thread. 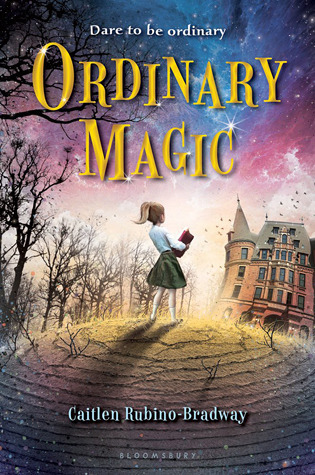 Out of 50 plus reccomendation’s Ordinary Magic caught my eye. I love reading Middle Grade especially books with magic in them! I was happy to see that this was in my library. While this wasn’t what I was expecting I still enjoyed it! The book begins with Abby and her family getting ready for her Judging. Abby has been looking forward to this day. She can finally practice magic! She’s a bit nervous about the level she’ll be and the Judging in general. Luckily her whole family are going to support her. Once Abby and her family reach the place where she’ll be Judged they go their separate ways. Abby to be Judged and her family to wait. Abby is told that she needs to step through a barrier and then her test will begin. She does so but nothing happens. Abby doesn’t feel any difference. The people Judging her look shocked and ask her to walk around the barrier several times. They inform Abby that she is and Ord. She has no magic in her whatsoever. Abby is in shock and really upset. Her parents are called in and they in just as much shock as Abby is. The man informs Abby’s parents that because she is an Ord they will need to get rid of her. Her parents deny doing so and leave. Her siblings are in shock as well but quickly try to cheer Abby up. When they leave the building word has gotten out and everyone is avoiding Abby’s family. They arrive home to have a party for Abby nonetheless. Abby remains upset because none of her friends came and some of her other family members didn’t come. Her aunt left early and her parents told her that if she was going to leave early then she shouldn’t come back. Abby’s family make sure that she has a good day. The next day Abby wakes up to her family having a heated discussion. Abby joins her family and asks what’s going on. Her oldest sister Alexa say’s that their counsel has requested buying Abby. Abby then asks her parents whether they are going to sell her to anyone. Her family replies with a firm ‘No’. Alexa then mentions that as her work for the King there is a school for Ord’s. And that they are going to enroll Abby in it. Abby is quite shocked when she hears this as Alexa doesn’t mention her work. But she’s willing to give it a go seeing as she’s not sure what to do with her life. I was expecting to love this book. But nonetheless I did enjoy it! I really liked the writing style. The author did a good job of writing about a 12 year old. This book is written in first person in Abby’s point of view. Now when I saw Sierra mention this book the only thing that I remembered about it was that it had magic and that Abby was an Ord. I didn’t realize just how brutal this book was going to be! I was so surprised and angry when I read about how Ord’s are typically treated. Normally they are sold off to basically anyone asking for them. Simply because they have no means of survival in society. Most people treat Ord’s as objects and avoid them like their contagious. I’m not even exaggerating. This book was also action packed! Surprisingly so. The family aspect was amazing! I loved reading about their interactions with one-another! I always had a huge grin on my face whenever Abby’s family came in! I liked Abby’s friends Fran and Fred. And I kind of liked Peter. I also liked Abby. And while Abby still didn’t really stand up for herself she did grow. Once Abby gets to school she’s not well liked. Quite a few people are jealous of her because her family cares about her. People also don’t like the fact that Abby talks a lot about her family. They always seemed to forget that Peter also had his mother. But that might just be because Peter’s mother is an Ord and Ord’s seem to stick together. The ending was bitter sweet but realistic. I had 5 problems with Ordinary Magic. I felt that the book started to loose it’s appeal once Abby started attending school. I also felt that while Abby went through character development the other characters did not. I would’ve liked to read more about Peter just to understand his character. I really did not like the way Cook Bella treated Abby. She was unfair through-and-through. I think that it may have been her way of teaching Abby. I never felt that Abby ever became one of the kitchen staff. It seems that it is implied but I never felt it. Overall this was a good book! I recommend to anyone looking for a standalone fantasy middle grade book. I received this E-ARC via Macmillan Children’s Publishing Group and Netgalley in exchange for an honest review. 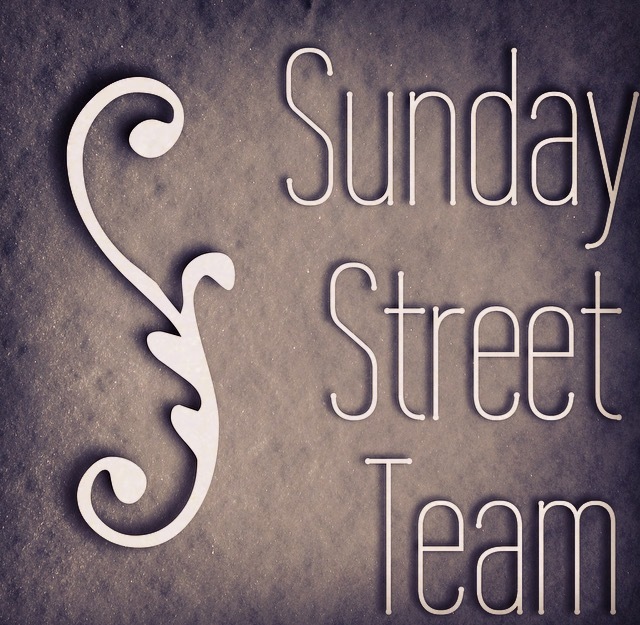 I am also participating in the Sunday Street Team for this book. I had heard about this book through GR. At the time I didn’t really pay attention to it. Then when I joined the Sunday Street Team for the author’s other book Edge of Wild I noticed that the author was having another book coming out this year. Honestly the first time I read the synopsis I thought I would hate this book because at the time it sounded really dumb. But I decided to give it a shot. There are a lot of books that I now love and at one point I thought I would hate. I am happy to say that I enjoyed this book! The book begins with explaining us a movie. The only thing you know is that it’s an alien movie. The main character whose name is Spartan is trying to kill the aliens. With him is a little girl who is attempting to help him. When the two reach an escape pod Spartan tells the girl to run while the countdown is going off. The girl is able to reach the pod and escape. Meanwhile Spartan dies in the explosion. We are then taken to Liv and Xander. The two are both in shock. Although Liv is in much worse shape. Xander gently tells her that they need to leave the theater and guides her out. He goes to get the car meanwhile Liv waits inside. She has an emotional outburst and takes it out on the workers. Eventually she leaves still very upset. The minute she reaches her house she goes to Twitter and tells some of her friends that Spartan died. Spartan could have made it out as there was one more pod left. The following week Liv remains depressed. Xander has tried his utmost to help her and get her out of the house. Her mother has tried to same although she doesn’t do it very nicely. Then one day when her mother’s boyfriend comes over and Liv’s mother wakes her up. Liv changes and goes downstairs to find her mother and her boyfriend going out somewhere. Liv’s mom asks her to tag along but Liv declines noticing that Gary (the boyfriend) doesn’t want her to come. They leave and she opens the fortune cookie’s they left her. Taking the fortune as a sign Liv comes up with #SpartanSurvived and enlists Xanders help. Wow I seriously did not expect to enjoy it that much! The book is written in third person which I found surprising considering it’s a contemporary book. But luckily I liked the writing style! I found that it suited the story. It is divided into two parts. Before Dragon Con and during Dragon Con. There are text messages, twitter conversations, and some fanmade pictures! This was really cool! I’ve never read a book that’s formatted this way. The chapter titles are quotes from things like Harry Potter and Doctor Who. I think that added a nice touch the to overall story. I completely understood where Liv was coming from! While I haven’t been an active member in fandoms I have loved so many tv shows and books, and mourned the characters that died. While I never let it take over my life I can see why some people would. Liv’s only connection to her father was through the Starveil films and when Spartan died her whole world feel apart. It wasn’t much help from her mother who viewed fandoms to be dumb and also internet friends. She isn’t close to her mother because of this. Xander and his girlfriend Arden helped whenever they could. Xander and Liv’s friendship was adorable! He was so sweet to her and understanding. He agrees to help her with #SpartanSurvived and eventually gets sucked into the fandom. This in particular was amusing to read about. I was really glad that for a majority of the book they remained friends. The romance was really slow burn but I liked it. I thought it was brilliant when Liv came up with #SpartanSurvived and it was awesome watching it grow and become such a big deal to the fans that Liv talked to! I would never have come up something like that. And I absolutely loved reading about Dragon Con! It was amazing and I so need to go there one day! 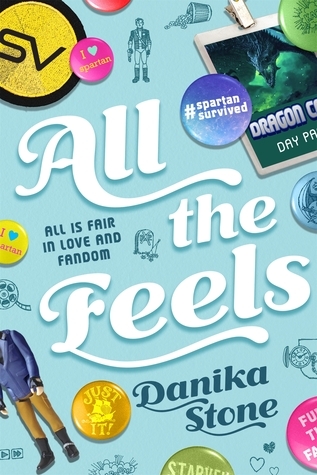 The author did an excellent job writing about being in a fandom! It was so much fun reading and it reminded me about how I converse with my friends on GR! While Liv loved Starveil Xander loved steampunk and cosplays. The author did a good job fleshing out the two different fandoms. The characters in this book was realistic! Liv eventually finds the confidence to get out there and explore the real world and try to make friends with people in her classes. Xander was her support system as was the other fans of Starveil. She grew into a strong and likable character! Xander was a doll! I loved how he said things like ‘dearest’. He’s so different than the other male love interests. It was refreshing reading about him. I only had three problems with this book. I would have liked to see her of Liv and her mothers relationship. When she goes to Dragon Con you’re not shown her mothers reaction and I really wanted to read about that. And when she reached Dragon Con Liv only called her mother once. I’m surprised that her mother never called her. And like most contemporaries Xander and Liv get into a bit of a fight which I didn’t understand. Thankfully it was resolved quickly. While the epilogue was sweet I felt that it was rushed and somewhat unnecessary. Nonetheless I still liked this book! Overall I enjoyed this book! I recommend it to all fangirls and fanboys. And anyone trying to understand fandoms. 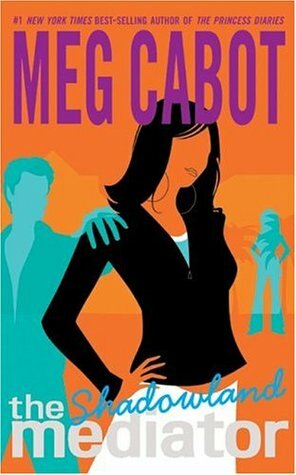 When I was younger I was a fan of Meg Cabot. As far as I was concerned she could do no wrong and that all her books were fantastic! Last year I discovered that it’s not true. I found out that I didn’t like her contemporary books. 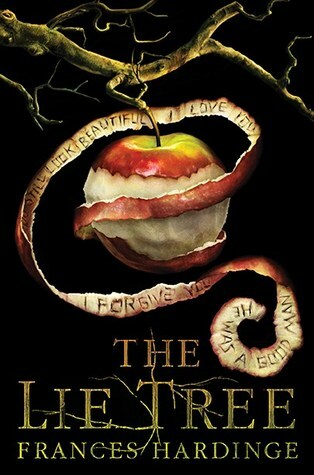 But I still immensely enjoyed her paranormal/supernatural books. This year I remembered this series and was happy to find that my library has it! I am happy to say that I enjoyed this! The book begins with Suze mentioning the differences between New York and California. Her mother has gotten remarried and they had to shift to California because Andy her step dad owns a business there. Suze actually likes Andy and she doesn’t mind Dopey, Sleepy, and Doc (her nicknames for her step brothers) but she doesn’t like the fact that they had to move. Suze doesn’t share these thoughts with her mother. Andy makes her mother very happy and Suze is okay with that. Her new family take her home. On the way there she notices again how different Cali is from New York. While they are talking it comes out that the school she’ll be attending is a very old building. As is there house. After hearing this Suze starts to freak out because she doesn’t like old buildings. When they get to the house Suze tries to remain calm. Andy has put a lot of work into the house and has tried to make it comfortable for her. Once they reach Suze’s room she sees a guy sitting at her window seat. Only the rest of her family don’t see him. Suze can see ghosts and usually there are more ghosts in old buildings. I seriously did not expect to enjoy Shadowland this much! It was so much fun! This book is written in first person told in Suze’s point of view. It takes place over the course of a few days. I loved Suze. She is definitely my favourite Meg Cabot character! She was smart and a bit of a hot-head. She was tough and could handle a fight just fine.It was interesting to read about her experience with ghosts. And how the mediator stuff works. Throughout this book Suze trying to help people ends up being a bit reckless. She never accepts anyone’s help she goes solo. Throughout the book she decides to work with other and that it isn’t so bad. The relationships were awesome! I loved how close Suze was with her mother and that she didn’t mind her step father. It’s nice to read about a good step parent. While Suze isn’t close to any of her brothers in the beginning of the book she does develop a good relationship with Doc. It was so sweet reading about! It wasn’t always rainbows and sunshine but they were there for each other. The little I read about Cece and Adam was nice. I liked Father Dom and Jesse. Father Dom is the principle (and a priest) of the school that Suze attends. Much to her surprise he is also a mediator and does offer to train her. He was a nice mentor. Jesse was a bit clueless but sweet. This does take place in a few days so there isn’t really any romance. Suze does consider Jesse good looking but at the moment they’re just friends. The plot was pretty good. Heather was realistic. There are definitely girls like her. It was also nice to for a change that Suze didn’t like her powers. But that didn’t mean that she was rude to people she still did all her ghostly duty without a lot of complaints. I admire her for that. I only had two problems with Shadowland. There were times when Suze would talk about how good looking Jesse that it would become annoying. And while I understood why she did so there were times when I felt it wasn’t necessary. Also I find it very weird that in a matter of a day Suze is very popular. Yes she did save one of the students and threaten to break another students fingers, I don’t think it’s possible to get popular that fast. Nonetheless I enjoyed this! Overall this was a really good book! I recommend this series to anyone looking for a completed fantasy that it more focused on the character development. Buddy read with Waukesha, Luke, and Adita! Once their reviews have been posted I’ll add the links. For those of you that followed me back in November probably know that I did not enjoy The Wrath and the Dawn. You’re probably wondering why I bothered to continue this series. Part of it was curiosity. It was curiosity that got me to finish all the short stories. After I finished The Mirror in the Maze I was curious to see how the series ended. It came in my library I put it on hold. While I did enjoy this more than the first book I can’t say I’m happy with how this series ended. The book begins with a prologue in which a little girl and her brother are trying to restore their house. A storm blew their house over. Unfortunately the storm killed their mother. While the girl and her brother start clearing the area a boy appears in their door. The girl realizes that this boy is the prince. The prince mentions that he would like to help the girl and boy with their home. The brother agrees and they continue to work. After they have finished most of the work the brother asks for the princes name. The prince says that his name is Khalid. The brother introduces himself. And the girl turns out to be Shiva. The plot in this book was much better than the first! There was a large focus on the war and some politics. The magic was interesting to read about as were the new characters. There wasn’t that much focus on Shazi and Khalid’s relationship. I actually found Khalid to be much smarter in this book. He started acting like a King. I enjoyed reading about Shazi’s sister Irsa! She was so refreshing to all the strong and confident females you read about. And I absolutely loved her romance! Rahim was so sweet! All of the twists and reveals were very surprisingly. Especially concerning Despina. There was this really sweet scene were Shiva comes in! Shazi and Tariq were the same. Which is to say annoying. I actually noticed an error while reading this book. In the beginning of the book it is mentioned that Shiva’s mother died in the storm. Yet when Shazi and Tariq are talking about Shiva, it’s mentioned that his aunt (Shiva’s mother) committed suicide. Please do correct me if I’m wrong. The curse was pushed aside in this book. You’d think with it being deal in the first book it’s reduced to nothing in this book. The magic wasn’t really explained. 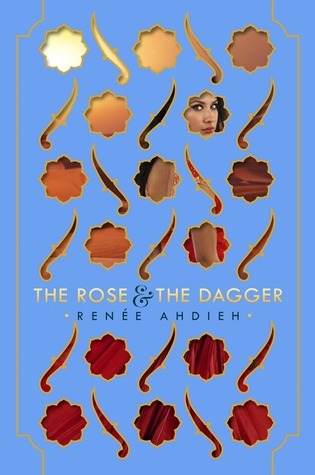 I also wished that Irsa and Rahim were the main characters as I would’ve preferred to read about their romance. You are given constant reminders in this about how strong the women are. In the form of a stupid man touching her. And said women defending herself. How was it that most of the men Shazi ran into were pervs? I am not at all happy with how Irsa and Rahim’s romance was dealt with. While the epilogue was somewhat sweet it left a bitter taste in my mouth. I’m really not happy with a certain part of the ending. Overall this was not a good conclusion in my eyes. 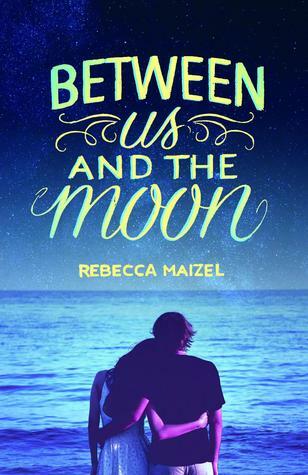 But I still recommend it to fans of forbidden romance and fairy tale retellings. I heard about this book through a GR friend’s review. It sounded interesting and I was happy to see that it was coming in my library. Unfortunately I didn’t like. The book begins with Faith’s family traveling. Faith’s little brother asks why they are traveling and their mother says that it’s for their father’s work. When her brother mentions that they never needed to come for their father’s traveling. Their mother responds that this is a vacation for them. Their mother then tells Faith that she’s happy that Faith hasn’t asked any questions. Faith is bursting with questions. She has the same questions as her brother and more. But as a Lady she is not supposed to ask any questions just do as she is told. Faith claims that her stomach is hurting and goes for a walk. Faith then takes an about turn and listens in on a conversation with her uncle and father. Her father mentions that he is not happy that he had to come here. Her uncle then replies that they didn’t have a choice. The public believe that her father is a fraud and they would’ve all suffered. The reason I didn’t finish this is because I didn’t feel anything. I didn’t care that Faith’s father was supposedly a cheat. I had no interest in continuing further. I’ve rated it 2 stars because the premise sounds interesting and the writing style was well done. Overall I had no interest in this book. I still recommend it to fans of murder mystery with a hint of paranormal. I had heard about this book last year through GR. It looked interesting. At the time it wasn’t in my library so I made a mental note of it. Luckily it had come to my library and I was excited to read it! Unfortunately I did not enjoy it. The book begins with Sarah talking to her sister Scarlett about the stars. Scarlett calls Sarah a dork and leaves. Their mother calls and announces that Sarah’s boyfriend Tucker is here. Sarah goes to greet Tucker. She notices something off about him but pushes it aside. Tucker takes Sarah outside and breaks up with her. During their conversation Tucker mentions that he has changed but because Sarah has her head in science she never noticed. He also implies that he has been cheating on her. He leaves. Sarah goes back in her house in a daze. She can’t believe what just happened. She always thought that Tucker and her would be forever. They’ve been friends since kindergarten and share a love for science. Sarah is very happy that her family will be spending the summer in Cape Cod. Once in Cape Cod Sarah still feels hurt by Tucker. One day her sister Scarlett goes to the beach. Sarah wants to go as well but Scarlett says that she wants to spend some time with her friends. Sarah goes anyways and ends up following Scarlett. Sarah realizes that if she becomes Scarlett she’ll never be hurt again. Thus creating The Scarlett Experiment. The reason I didn’t finish this book is because of all the lies that Sarah ends up telling. Literally before the epilogue she reveals everything. Which didn’t sit well with me. My family considers me the epitome of honesty so that might be part of the reason I couldn’t finish this. I have rated this 2 stars because despite all hte lies Sarah does develop. And the premise sounded interesting. Overall this was not for me. I still recommend it to fans of contemporary. If you can get past the lying then I think you’d enjoy this.